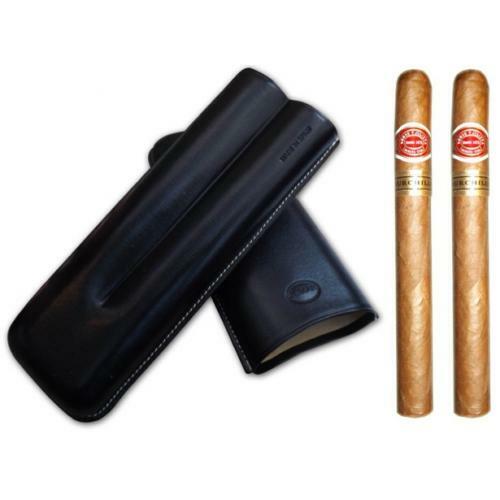 Romeo y Julieta Churchill Sampler - Romeo y Julieta is credited with introducing the 'Churchill' shaped cigar, in honour of the famed British Prime Minister. 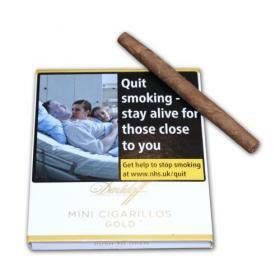 British lore claims that when Churchill would meet with foreign heads of state, he would insert a straightened paper-clip through the length of his cigar. 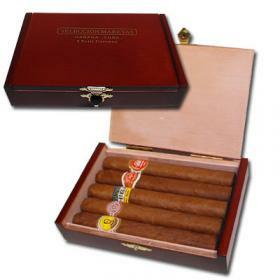 As his cigar ash would grow longer and longer but not fall, it is said that Churchill would unnerve his often-hostile guests, allowing him to gain an upper hand during delicate negotiations. 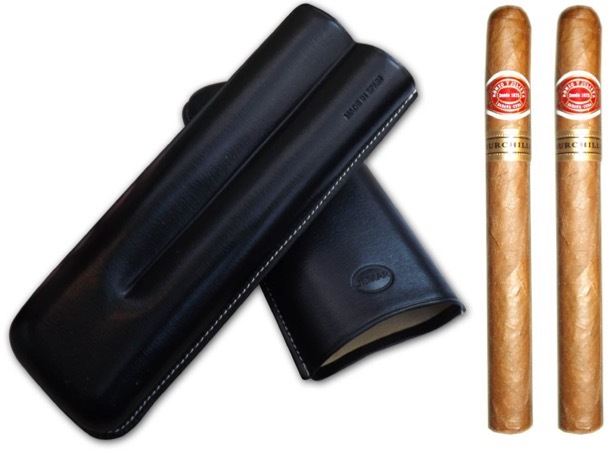 The sampler includes two Romeo Y Julieta Churchill cigars and Churchill size leather cigar case in black, cigar cutter.